The team slashed its price target to $175 from $250, and changed the bullish „outperform“ rating it had held. 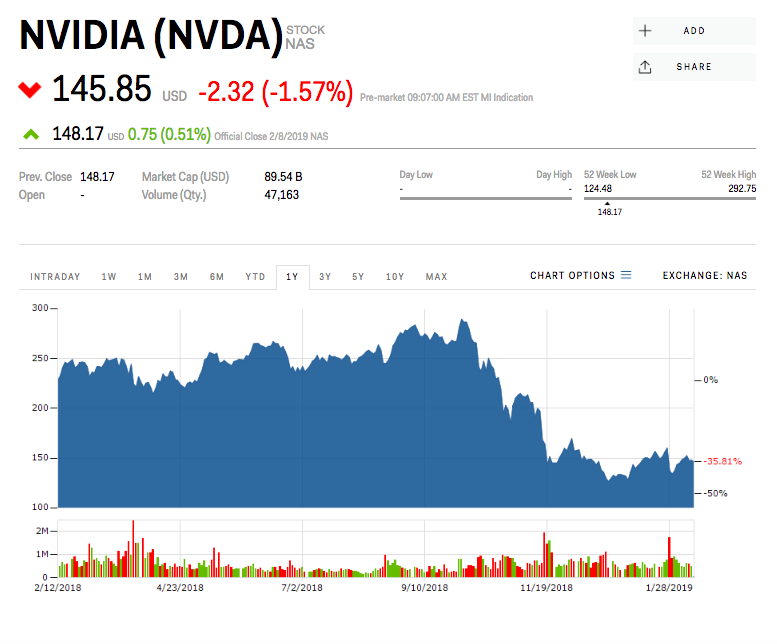 Nvidia shares were down as much as 3.21% to $143.42 apiece early Monday after the note was published. „We still believe in the long-term datacenter story,“ Rasgon said. „When you turn on the ray tracing, it affects the overall performance of the GPU pretty substantially,“ Christopher Rolland, a semiconductor analyst at Susquehanna International Group recently told Markets Insider.